The original Metoo doll in grey dress is soft and cuddly. It can be the best friend of your baby. Made of high quality safety environmental soft plush fabric+PP cotton filler. Could be wash.
Sweet gift for Easter day decor,children's birthday,christmas,thanksgiving,baby shower,mother's day and other memorial day. 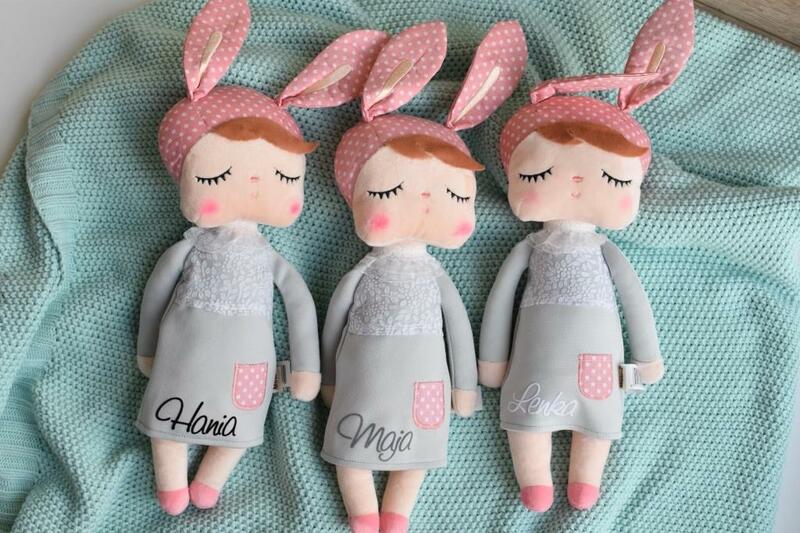 CE certified which means the dolls are suitable for babies form the birth. The doll can be personalised. Just add the personalisation option into your cart.